Group of Fine Artists ” towards trying and innovating”. 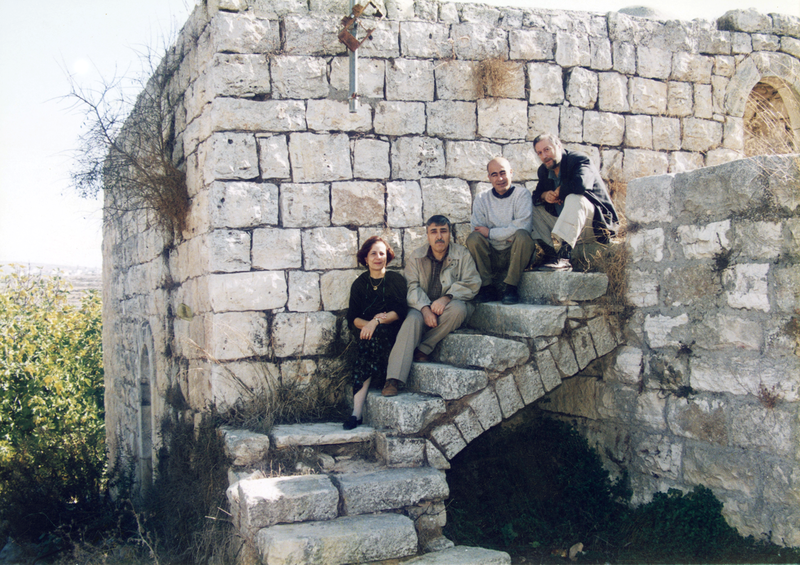 from the right: Sliman Mansour, Tayseer Barakat, Nabil Anani, Vera Tamari. The group was established in 1987 following the start of Al-Intifada after a decision by the group members to boycott Israeli,American and European artistic products.The group used raw materials including goat skin, Henna, clay and hay. The group lasted ten years. 1988. From the family album of Nabil Anani.